This 18 ft Modular Water Slide is a terrific slide for any occassion. 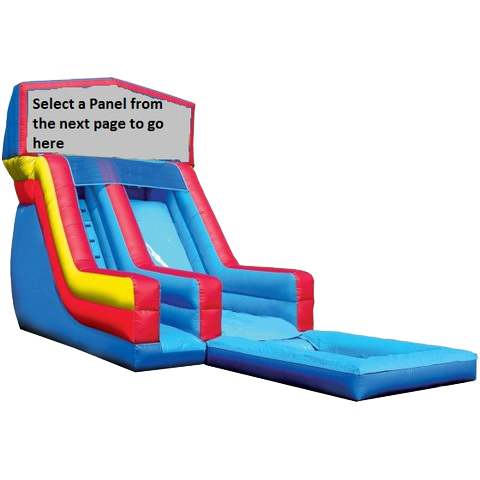 It is multi colored, front loading climbing wall to the slide and into a splash pool. You can add a theme to this bouncer by selecting a panel from the next screen at no additional cost. Recommend 3 kids at a time, one sliding, one climbing and one entering. This unit must be staked or tied off for safety, otherwise water barrels must be ordered.